San Francisco, California – March 1, 2019. Automotive Defense Specialists, a team of lawyers defending SMOG shops, STAR Program participants, and technicians against California’s Bureau of Automotive Repair at https://automotivedefense.com/, is announcing a new post on how to fight the Bureau. Auto shop techs are in a club by themselves. Who else knows what it’s like to SMOG test cars all day and deal with the specific challenges related to the job? Although auto repair shops can be in competition, individual technicians tend to have each other’s backs. Let’s get straight to the point, lifting the hood of a Bureau of Automotive Repair undercover car can be like entering an Open House. Everything looks well-maintained, but costly issues could be found if you take a more in-depth look. It’s important to really pay attention though. Like a smiling real estate agent showing a nicely staged house, the plan is to keep you from seeing what’s wrong. January 31, 2019 – Santa Monica, California. Automotive Defense Specialists, professional attorneys focused defense work against California’s Bureau of Automotive Repair, is proud to announce new openings for SMOG stations, technicians, or STAR Program participants who may be facing what is called an “accusation” by the Bureau. 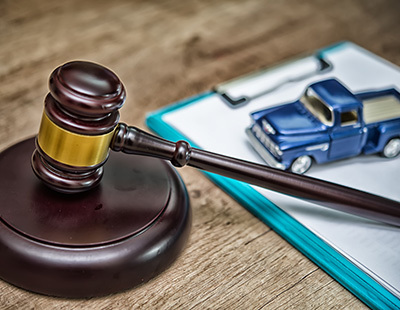 Aggressive actions by the BAR has increased the likelihood of administrative problems against hard-working auto repair shops and/or their technicians. You could say right now many Americans are in the middle of an “awakening.” They have spent years listening to the rhetoric of one political party or another only to be continuously disappointed. For instance, a politician might commit to bringing more jobs to poor neighborhoods. December 31, 2018 – Los Angeles, California. Automotive Defense Specialists, a team of lawyers defending SMOG shops and technicians against California’s Bureau of Automotive Repair, is announcing an important emphasis. The law firm is emphasizing STAR Program invalidation defense actions and disputes in its practice going forward.